In math practice test on equivalent fractions student need to find the fractions that have different forms but the same value. 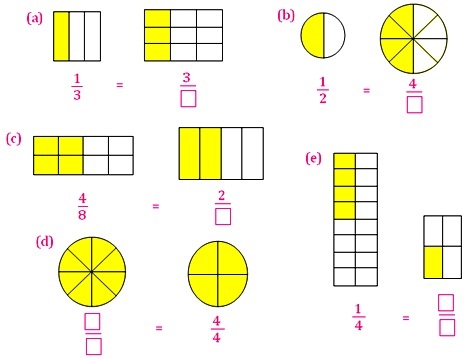 The practice questions are based on equivalent fractions, building equivalent fractions to very large numbers with the help of multiples and reducing equivalent fractions with the help of division. Answers for the practice test on equivalent fractions are given below to check the exact answers of the above questions.